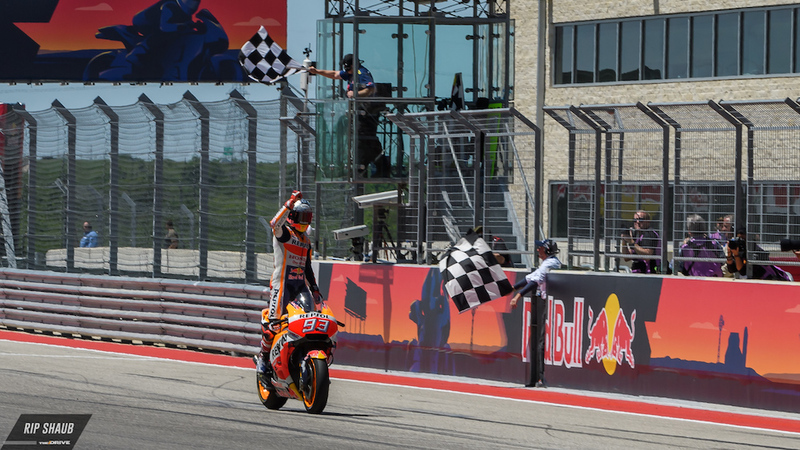 Marc Marquez and the Honda Repsol MotoGP team collected their sixth consecutive win at the Circuit of the Americas this afternoon, following the Spaniard's commanding win that saw him finish a massive 3.5 seconds ahead of the Yamaha of Maverick Vinales. Suzuki's Andrea Iannone finished in third place behind the two Spanish riders. Motivated by the drama that's engulfed him and Valentino Rossi following the Grand Prix of Argentina, Marquez made the best of his three-spot grid penalty the race stewards imposed on him after Saturday's qualifying session and went on to drive a remarkably clean and well-executed Grand Prix of the Americas. 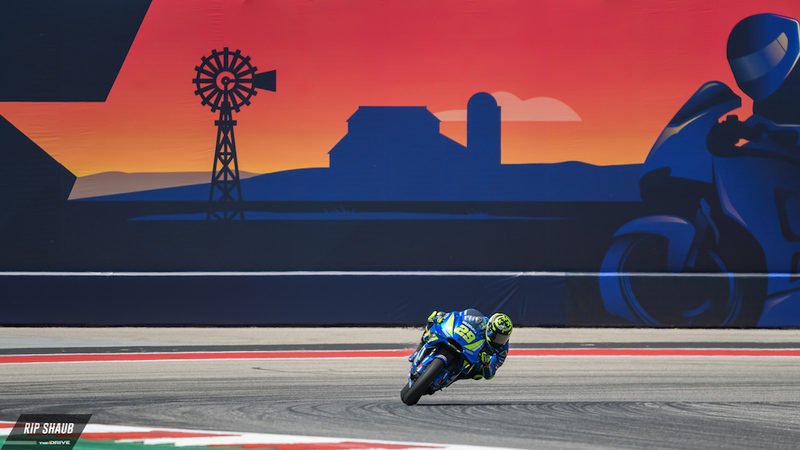 Andrea Iannone took advantage of his Suzuki's quick acceleration to jump to the lead of the race when the lights went out, but the Italian didn't have enough to hold a charging Marquez who was able to commandeer the lead of the race by the time the front runners got to Turn 12. 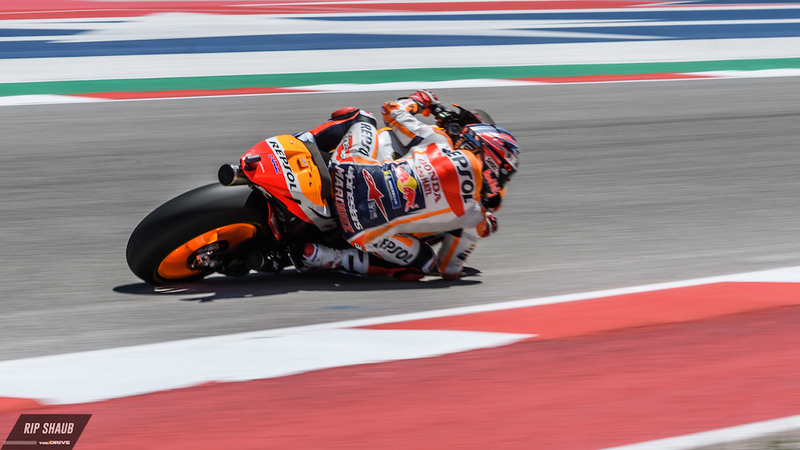 From that moment on, Marquez managed the pace of the race in a calculated manner, expanding the gap to second place by as much as seven seconds. 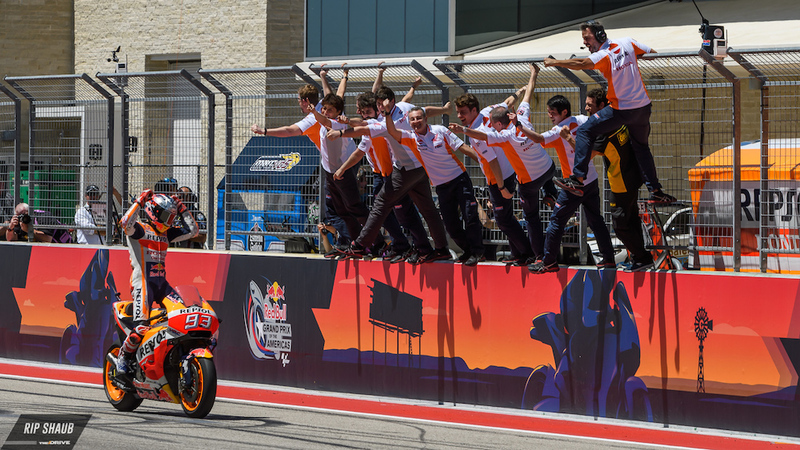 "I never had this kind of race, leading the first lap and pushing to the end," said Marquez. "I always waited a little bit and attacked at the end. Today I felt like this: Just go. I had the pace, the race was so long, in the last four or five laps I was thinking already about dinner, because it was so long and this circuit is so difficult!" 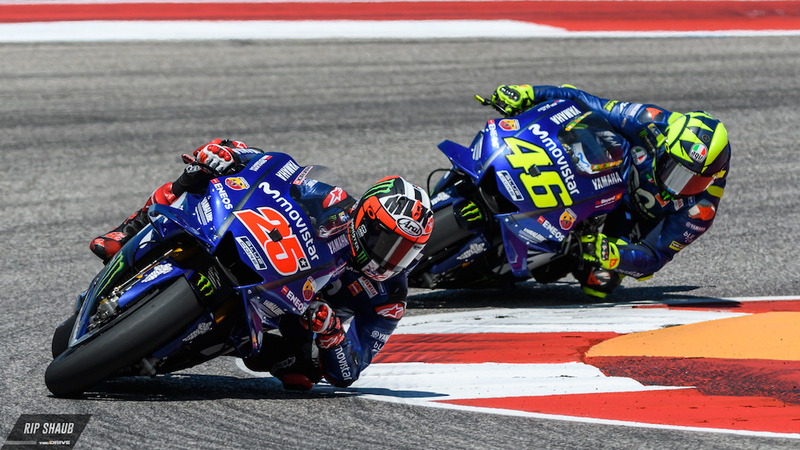 Yamaha's Maverick Vinales, who inherited Marquez's pole position, was able to regain his composure following a not-so-great start and squeezed past Iannone on lap seven, where he remained in second place until the chequered flag dropped. His teammate Valentino Rossi had to settle for fourth place, missing the bottom step of the podium by more than three seconds. It was another disappointing day for Ducati, but especially for Jorge Lorenzo, who not only saw his teammate Andrea Dovizioso finish further ahead of him in fifth place, but had to come home in 11th place behind the independent Ducati bikes of Avintia and Pramac. 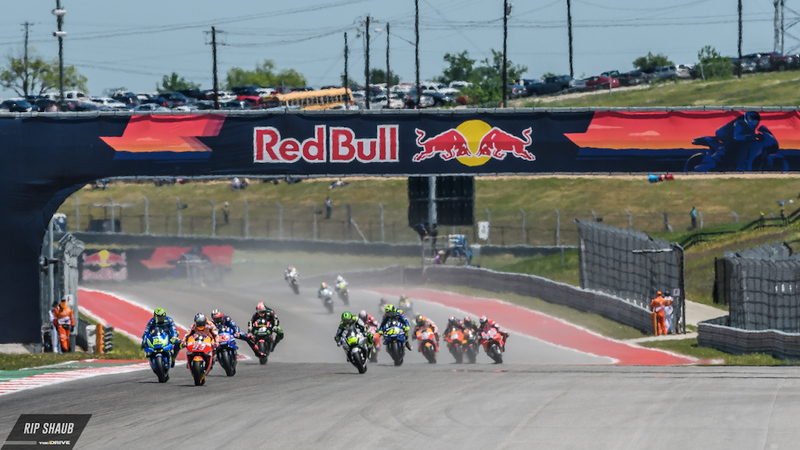 Several MotoGP riders feel that track conditions in Austin have worsened since last year's race.